WuXi NextCODE was awarded the 2017 Scrip Award for Best Specialist CRO for enabling the pharmaceutical industry to take advantage of genomics. Dr Mark Hughes (middle), WuXi NextCODE’s Business Development Director for Europe, accepted the award on behalf of the company. Below is news about our recent Scrip Award for Best Specialist CRO. This story is from our new WuXi NextCODE blog. We’re thrilled to share that Scrip, the global biopharmaceutical industry news and analysis service, has named WuXi NextCODE as specialist contract research organization of the year for 2017. 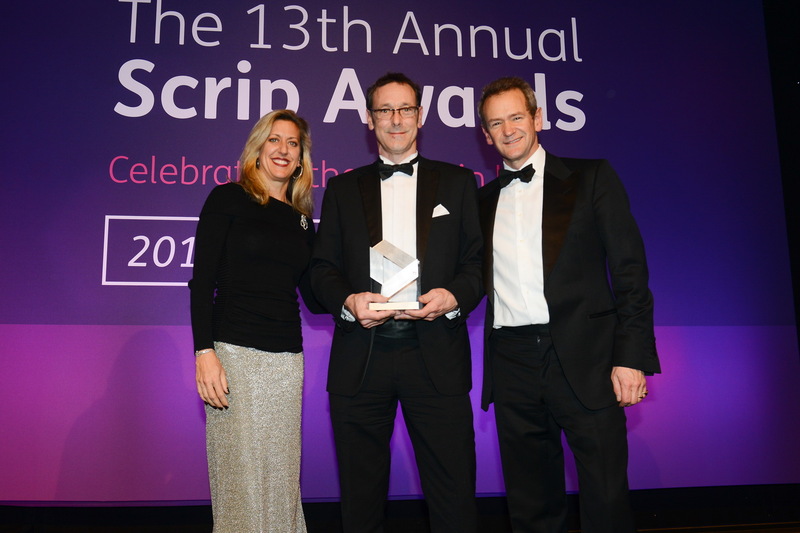 The award, announced at the 13th annual Scrip Awards dinner in London, singled out WuXi NextCODE’s unique Contract Genomics Organization (CGO) capabilities for putting the full power of our world-leading genomics platform into the hands of biotechnology and pharmaceutical companies around the world. WuXi NextCODE was selected from among many leading service providers and half a dozen finalists by an expert panel of judges comprised of independent, senior industry experts from around the world. “Our aim is to enable anyone to use the genome to the benefit of people everywhere, so it is particularly gratifying to see our work recognized by the industry that creates new medicine,” said Hannes Smarason, CEO of WuXi NextCODE. This entry was posted in genomic medicine by Hannes Smarason. Bookmark the permalink.